The Boeing Company (BA - Free Report)	recently secured a $14.3 billion contract for the modernization, engineering, sustainment and testing of the B-1/B-52 weapon systems. The contract was awarded by the Air Force Life Cycle Management Center, Wright-Patterson Air Force Base, Dayton, OH. Per the Flexible Acquisition and Sustainment contract, the modernization services will lead to increased lethality and responsiveness of the B-1 & B-52 Bombers. Work related to the deal will be performed in Oklahoma City, OK, and is expected to get completed by Apr 11, 2029. Boeing's B-1 is a long-range, multi-mission, supersonic conventional bomber. It is equipped to carry eight air-launched cruise missiles or 24 SRAMs and up to 24 nuclear bombs or 84 500-pound conventional bombs. The Boeing B-52 primarily provides the U.S. military with immediate nuclear and conventional global strike capabilities. Due to its high mission-capable rate, large payload, long range, persistence and ability to employ both nuclear and conventional precision standoff weapons, the B-52 continues to be a crucial contributor to the U.S. National Security Strategy. Boeing's Defense, Space & Security (BDS) segment provides technical expertise and integrated fleet support along with a broad spectrum of innovative products and services, which directly support and enhance capabilities of military rotorcrafts. Notably, its proven expertise in the field of aircraft modernization has enabled the company to clinch major deals from Pentagon like the latest one. Boeing’s B-52, U.S. Air Force’s one of the most preferred bombers, is expected to play a primary role in the U.S. nuclear mission at least for another decade. Inevitably, we may expect the company to procure similar contracts from Pentagon in the coming days. Interestingly, last month, the U.S. government proposed its fiscal 2020 defense budget that includes a spending plan of $57.7 billion on aircraft, a massive increase of 166% from the approved fiscal 2019 defense spending on aircraft. If approved, this increased spending provision should usher in more contracts for Boeing’s F/A-18 aircraft program, going ahead. 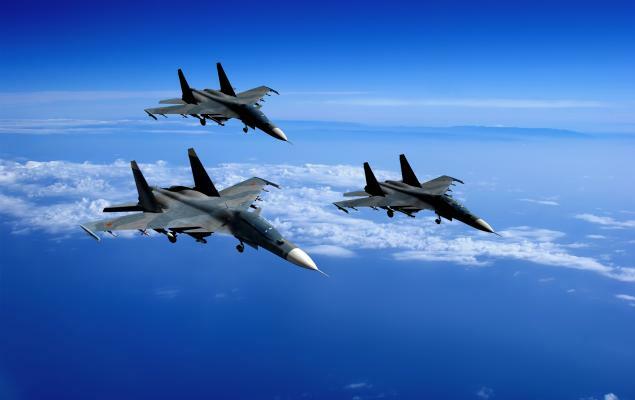 Per Mordor Intelligence, the global military aircraft market is expected to reach a value of $78.1 billion by 2023, wherein bombers and surveillance aircraft are expected to account for 12.5% of the market. This, in turn, will increase demand for bomber aircraft along with the requirement for regular technical services and upgrades. 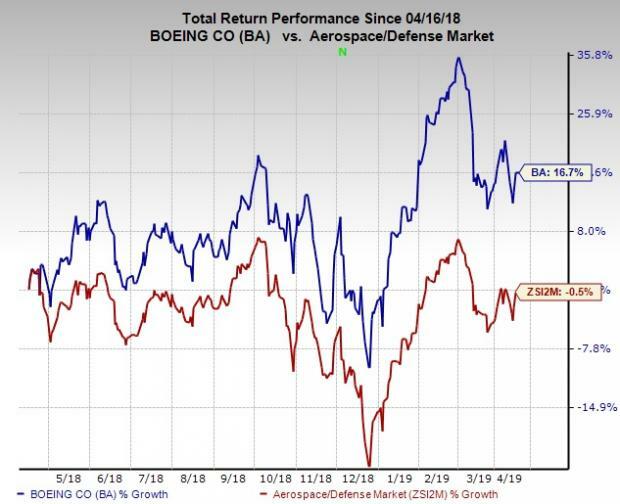 Boeing, being a prominent military aircraft manufacturer, is most likely to benefit from such favorable projections, going forward. Shares of the company have increased 16.7% in the past 12 months against the industry’s decline of 0.5%. Boeing currently carries Zacks Rank #3 (Hold). 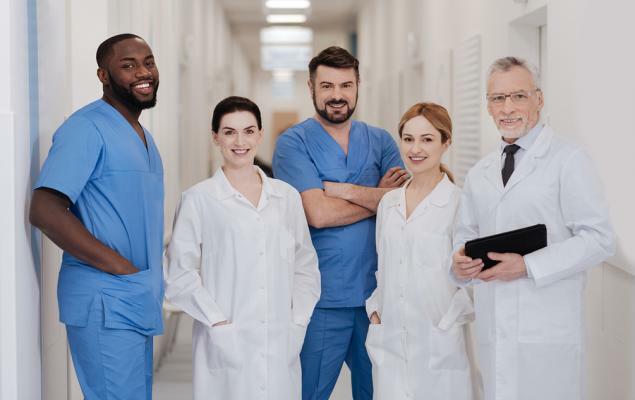 A few better-ranked stocks in the same sector are Spirit Aerosystems Holdings (SPR - Free Report)	, AeroVironment, Inc. (AVAV - Free Report)	and Heico Corp. (HEI - Free Report)	. While Spirit Aerosystems sports a Zacks Rank #1 (Strong Buy), AeroVironment and Heico carry a Zacks Rank #2 (Buy). You can see the complete list of today’s Zacks #1 Rank stocks here. Spirit Aerosystems’ long-term growth estimates currently stand at 7.8%. The Zacks Consensus Estimate for 2019 earnings has risen 3.7% to $7.56 in the past 90 days. AeroVironment’s long-term growth estimates currently stand at 25%. The Zacks Consensus Estimate for 2019 earnings has risen 16.67% to $1.75 in the past 90 days. Heico came up with average positive earnings surprise of 4.8% in the last four quarters. The Zacks Consensus Estimate for 2019 earnings has risen 2.9% to $2.14 in the past 90 days.